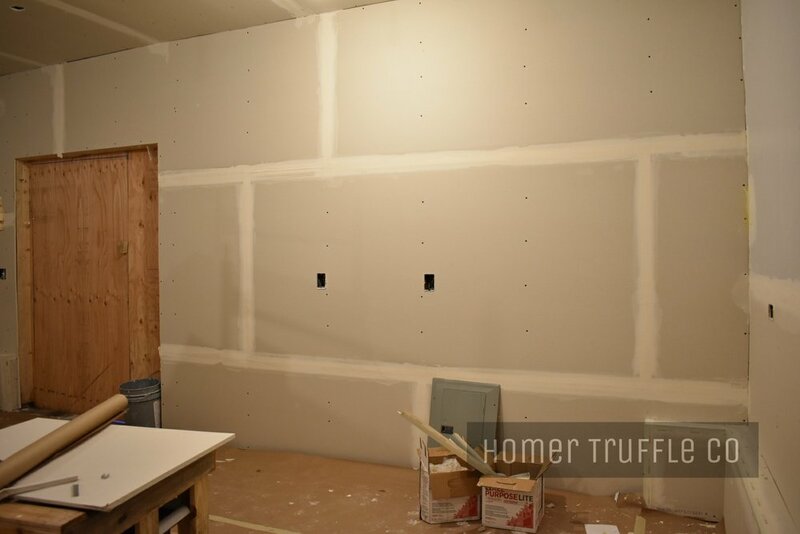 We received a few large equipment pieces, drywall went up, and that was pretty much it. The equipment pieces were ordered over 3 months ago and they are just now trickling in. 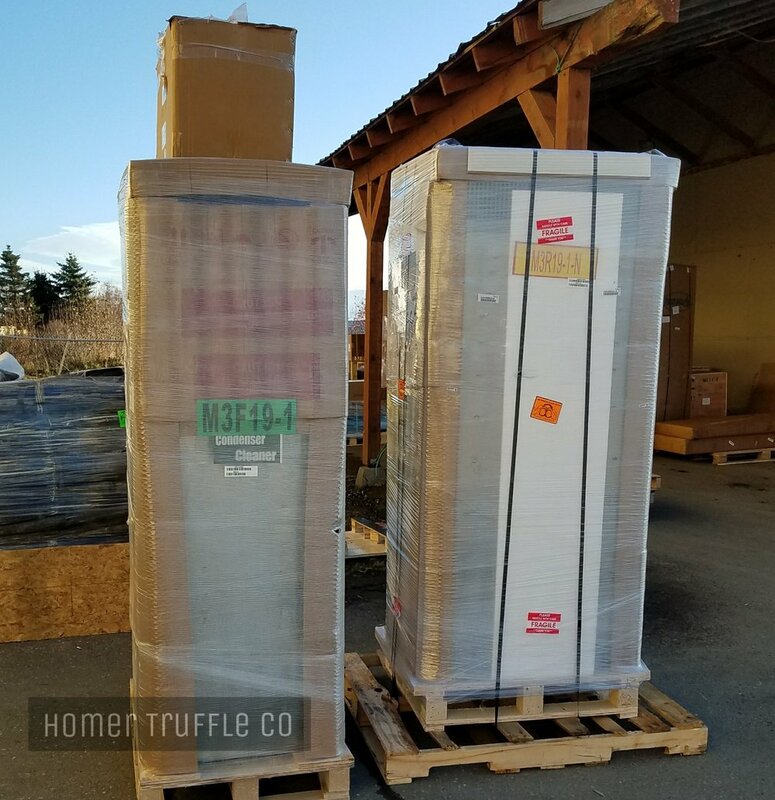 Homer Truffle CO has to say a BIG THANK YOU to the guys at Kachemak Gear Shed for helping us out with freight forwarding. Even if it has gone slow this week, the build is halfway over. Some people would be uncomfortable with this speed, but I can’t express how grateful we are with it. It has given us an opportunity to practice our patience, streamline operating procedures, and focus on different aspects of the business that would otherwise be rushed. 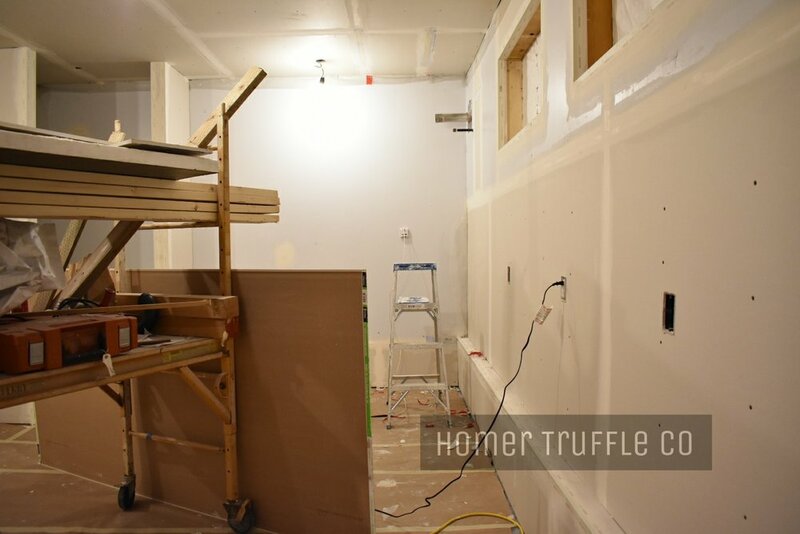 The tempo of the build has also given us a little more time to perfect our recipes. Chewy salty caramel bon bon, various fresh berry pâté bon bons, we should STOP! On that note, patience, patience, patience - our online store is coming together and will be open as soon as the chocolate factory is DONE! In the meantime, if you are looking for some chocolatey treats visit our friends at Bear Creek Winery and Scotts Family Pharmacy. Thank you for the support on our Instagram and Facebook sites. Have a great week!